Thanks for getting in touch with us. Please use the form below to contact us about site issues, partnerships or any general inquiries. We typically respond to all messages in less than one business day. You can also reach us at resources[at]drughelpline[dot]org. Substance Abuse and Mental Health Services Administration (SAMHSA): This is the phone number that is used across Drughelpline.org. SAMHSA’s sole interest is helping people with substance use disorders and mental health conditions. They field more than 65,000 calls per month and have helped millions access treatment. Call them today at 1-800-662-HELP (4357). 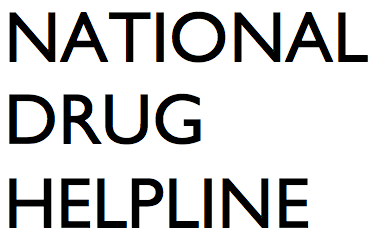 National Council on Alcoholism and Drug Dependence, Inc. (NCADD): NCADD’s HOPE LINE directs callers to numerous affiliate programs around the country to assist, at a local level, with substance abuse issues. Call 1-800-NCA-CALL (622-2255). National Institute on Drug Abuse (NIDA): National, government ran agency dedicated to prevention of drug abuse, and treatment of existing drug problems. Round the clock help in finding local drug treatment centers. Call 1-800-662-HELP (4357). The Partnership at Drugfree.org: Provides information to parents about adolescent and teen drug abuse, prevention and treatment. Call 1-855-DRUG-FREE (378-4373).